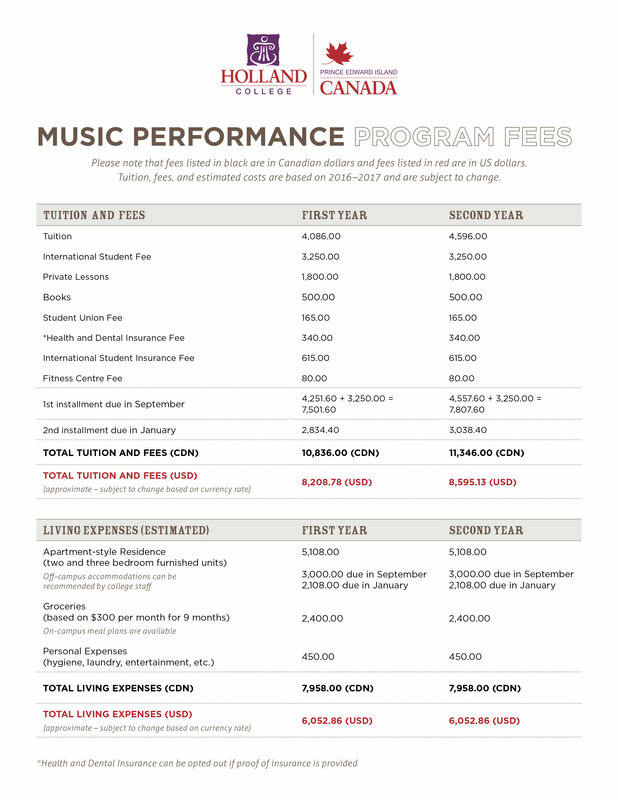 The Berklee - Holland College Pathway program provides students who have been accepted to Berklee College of Music, or are interested in being accepted to Berklee, with an exciting opportunity to take part in a one- to two-year Music Performance program at Holland College in beautiful Prince Edward Island, Canada. Start at Holland College. Finish at Berklee. Interested in applying to Berklee? Find out more about interviewing and auditioning for Berklee here, and view and audition checklist here. Holland College School of Performing Arts (SoPA) is a member of the Berklee International Network (BIN), and this pathway program, delivered with Berklee curriculum, provides students with the opportunity to study in Prince Edward Island for one to two years and upon successful completion attend Berklee for degree completion. With highly competitive tuition options, excellent curriculum, and outstanding instructors, this pathway can help students attain their goal of a Berklee music degree. Fill out this form to begin your Berklee - Holland College Pathway. - I give permission for Berklee Office of Admissions to release my Admission documents to Holland College. In Prince Edward Island, and indeed all of Atlantic Canada, music is woven into the cultural fabric of the place. The Holland College School of Performing Arts, a partnership with Confederation Centre of the Arts, provides a post-secondary opportunity for music performance students to: develop their artistic skills; share their passion for music; explore career options; and gain an understanding of the business side of the performance industry. We’re a proud member of the Berklee International Network (BIN). Holland College uses official curriculum materials from Berklee College of Music for all core music courses. Year two: $4,596 CAD = $3,452.39 USD*. Click here for a full list of program fees and living expenses. *Subject to change based on exchange rate. 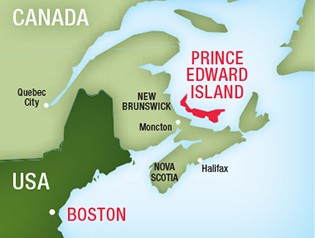 Prince Edward Island (PEI), is located on the east coast of Canada, just a day’s drive from Boston. PEI may be Canada’s smallest province, but there’s nothing small about the educational opportunities that await you here. Students from all over the world are choosing to make Holland College their home while they pursue their educational goals. Islanders are known for our hospitality and friendliness. We are a place where people still take time to talk to strangers, and our crime rate is the lowest in Canada. Students from all over the world choose Canada for their college and university education. It’s a wonderful place to study and live! If you’re not a Canadian citizen, you will need a study permit prior to starting your studies in Canada. To apply for a study permit, you will need your acceptance letter from Holland College. In most cases, you can do the entire study permit process online. For American students, you can actually receive your study permit right at the port of entry (airport or border crossing) when you arrive in the country! Study permits are handled by Citizenship and Immigration Canada. U.S. students can find information on obtaining a study permit at the point of entry to Canada here. Canadian Citizens: Canadian students from across the country can apply to their respective student loan programs and receive government student loans to help cover the cost of studying at Holland College. For more information please refer to your provincial student loan program website. Students enrolling through the Berklee - Holland College Pathway are recommended to stay in one of three excellent housing options: Holland College on-campus, apartment style residence; College-leased modern housing units two blocks from campus; and a student-wing in a hotel located on the edge of campus. Staff will work with individual students to determine the best fit based on preferences and accommodation availability. Other off-campus accommodations do exist, however these recommended options will help you make the most of your time at Holland College!